Thank you to GEB reader Adino for letting us know that Puerto Rico and the US Virgin Islands recently received Street View. Street view changes between November 11th, 2016 and December 12th, 2016. Red: changes to the map. Note that the round dots are user-submitted photos and not Google’s Street View. The user-submitted photo markers come and go over time as the algorithm that decides which to show at this zoom level doesn’t always pick the same ones. Also note that one of the red patches in Madagascar is not Street View but a change to the base map. 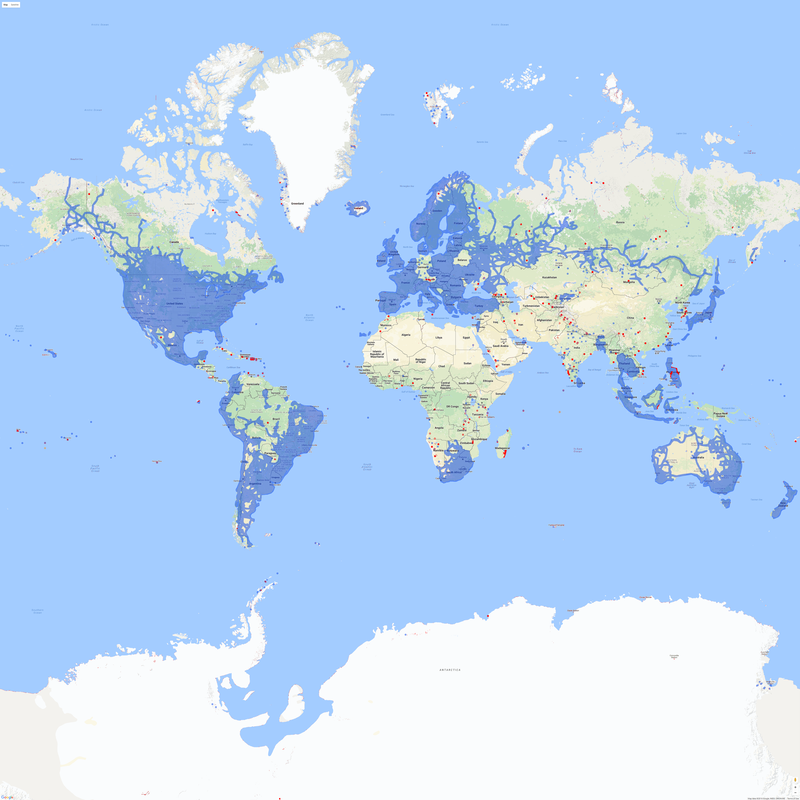 There are also tiny changes globally to the coastlines, suggesting Google used some new data to improve on them. Paseo del Morro, Puerto Rico. See in Street View. Hams Bluff Light, an old lighthouse on the US Virgin Islands. See in Street View. There is also Street View imagery update in the Netherlands: e.g. Utrecht now has 2016-09 imagery, Amsterdam 2016-08 imagery.